The DeWalt DCB119 XR Li-Ion is a multi-voltage in-car battery charger which is available to buy online here at DS Hardware. 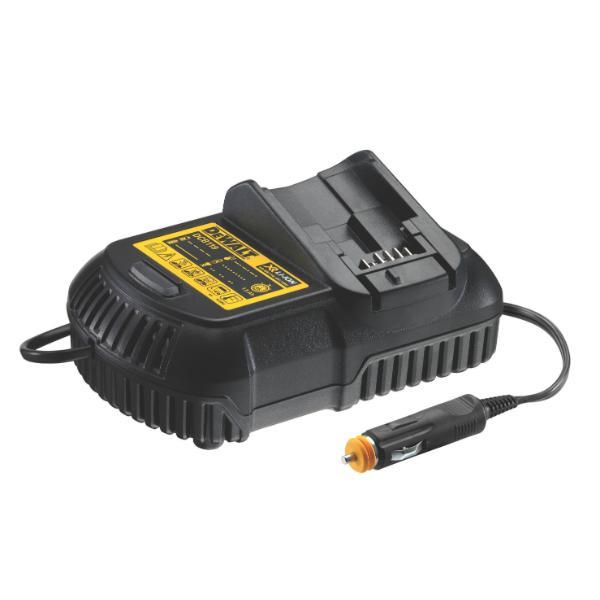 The DCB119 battery charger can charge DeWalt 10.8V, 14.4V & 18V slide pack batteries. The DCB119 features DeWalts 2-stage charging system and has a bright LED indicator which communicates battery charge status whether it is charged, charging, a power problem or whether the battery is too hot/cold. This intelligent DeWalt multi-voltage charger varies the charge rate according to the battery type resulting in an increased life span of a typical battery pack.